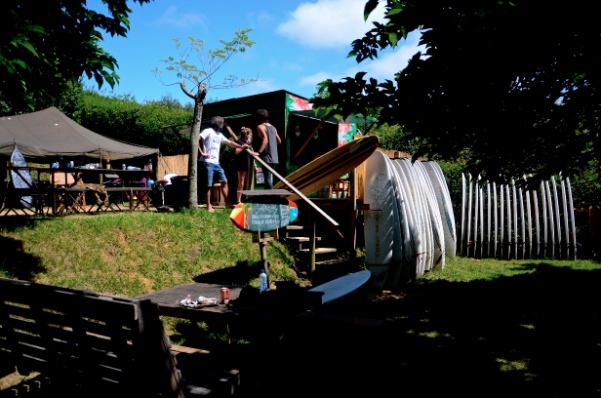 Every year, summer after summer, we organize our Good People Surf Camp Zarautz on the Talai Mendi campsite from the end of June until the first week of September (Min. age 18 years). Summer in Zarautz offers clean waves, bright sunny days in a green-mountain surroundings. A beautiful promenade with a variety of restaurants and ‘pincho’ bars with terraces in the sun and plenty of good people around. In Spring and Fall we organize Surf Camps for groups (from college to universities who would like to spend their end of year trip with us) on the Gran Camping Zarautz campground. If your looking for a summer session on the Good People Surf Camp, Spring or Fall Sessions with your colleagues from school or work, or just a few nights with the right board and suit, stop in or contact us here.